The province of Huelva is located on the western end of the Costa de la Luz in Southern Spain and is part of the autonomous region of Andalucia. It borders with Portugal and the provinces of Cadiz, Badajoz and Seville, encumbering some 79 municipalities with a population of approximately 700.000. inhabitants. 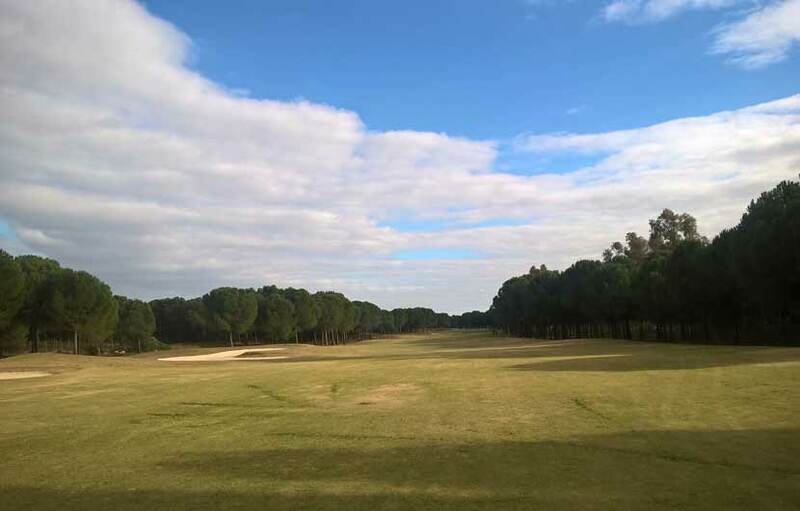 The province of Huelva is an area of great diversity with pine clad forests and long soft sandy beaches not to mention an outstanding climate boasting around 3000 sunshine hours a year. 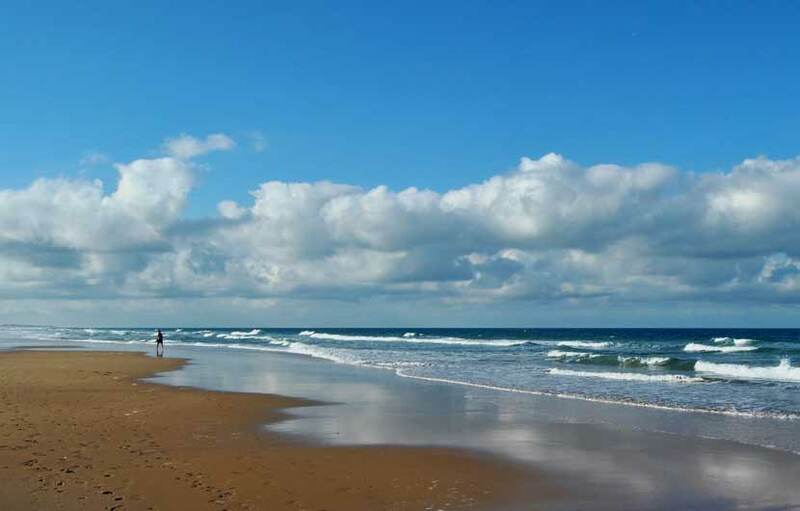 Huelva boasts having some to some of the best quality beaches in Spain located in the coastal towns of Matalascanas, Mazagon, Punta Umbria, Isla Canela, La Antilla, Isla Cristina and El Rompido. About a third of its extension is taken up by the Doñana nature reserve, one of the most important wetland reserves in Europe with around 365 recorded species of resident and migratory birds, five of which are endangered species and include the Spanish Imperial Eagle, the Iberian lynx and the Egyptian mongoose. The park can be enjoyed by trekking, guided tours, 4 x 4 trips and horse riding walks, there are also museums and other informative posts scattered around the reserve. Another must place to visit would be the beautiful and picturesque Sierra de Aracena, sierra signifies mountain range in Spanish although the highest peak is only around 1.059 meters high, making it rather a big hilly area rather than mountainous. Having said that the Sierra really is a hidden gem in southern Andalucia where you can explore typical white washed villages, spectacular views, chestnut forests in abundance and where some of the finest local gastronomy can be found. A trip to the Gruta de las Maravillas ( Grotto of Marvels ) located at Aracena, with over a kilometer of subterranean passages to explore is well worth it. Another unique attraction well worth visiting are the Rio Tinto mines, located around the Village of Nieblas. The name Rio Tinto ( Red River ) was coined from the impressive colour of the water that flows through the mines. When the ferrous ores come into contact with water they turn both land and the river into an incredible myriad of colours, shades of red, yellow, orange, brown and green can all be seen as the river trickles through the area. The mines are reputedly the oldest in the world and rich in history, reportedly being the fabled mines of King Solomon himself. It was the wealth of the mines that beckoned the Phoneticians and the successive invasions of the Greek, Carthaginian s and Romans. However it was inexplicably abandoned by the Romans and left to fall in the memories of time until it was rediscovered in 1556 although was not reopened until 1724. Inefficiency and bad management caused the Spanish government to sell the mines to a British consortium in 1871, which true to the dogged British commercial mentality and work ethic was fully exploited until it became one of the most important sources of Copper and Sulfur in the world. 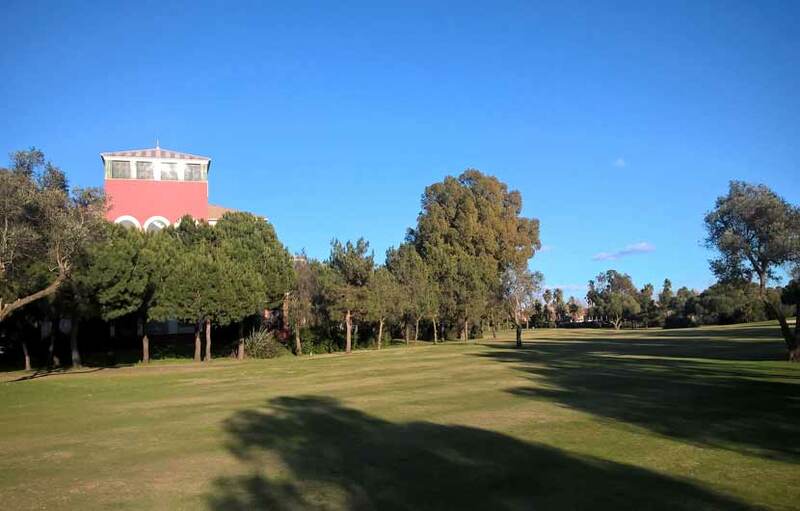 The colonials even built a small village called Bella Vista for the employees of the mines which is identical to any perfect little country retreat in Britain with neat lawns gardens, tennis lawns and a social club, it even has its own and Presbyterian Church. Luckily the vast sprawling complex is open to the public and includes guided tours to see the mines, an authentic mining train ride, a museum and bar cafeteria for snacks. 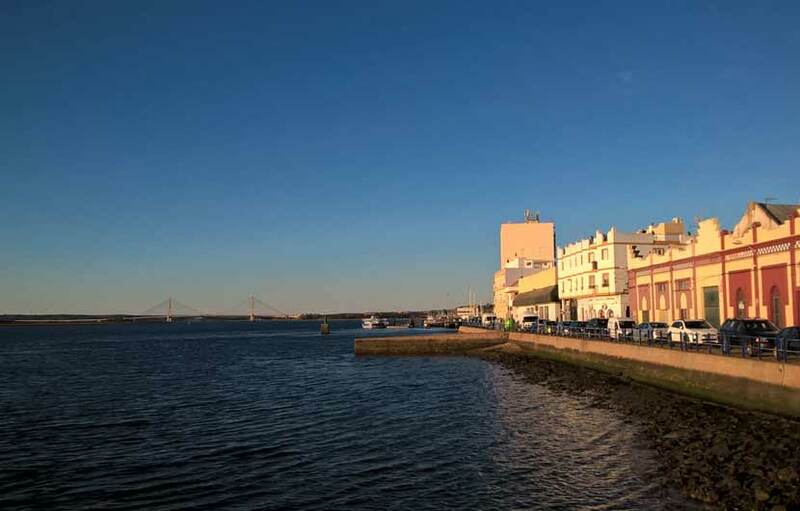 Huelva City – the capital of the region is quite industrial area housing a petrol chemical plant and at first glance the city may not be that inspiring enough to visit, however it is home to a number of gems that are well worth visiting, such as the Barrio Obrero ( the workers neighbourhood ), the Tinto and Tharses wharfes, as well as various historic churches including the main Huelva Cathedral and the provincial museums which house thousands of Archaeological artifacts. 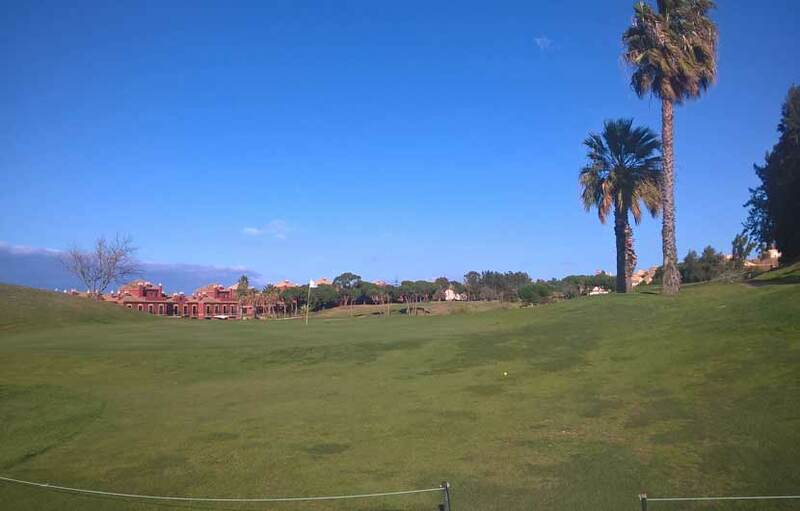 The province is also famous for its historic connection to Christopher Columbus, on the 3rd August 1492 the caravels set sale from the old port of Palos de la Frontera making the city famous for playing its part in the discovery of America. Palos houses an open dock with replicas of Columbus’s ships. We have compiled a comprehensive Spain travel resources page to help you plan and book a trip or holiday to Huelva with a budget busting hotel search comparison platform, travel insurance, low cost flights, discount car hire, tours, excursions as well money saving travel and holiday deals. 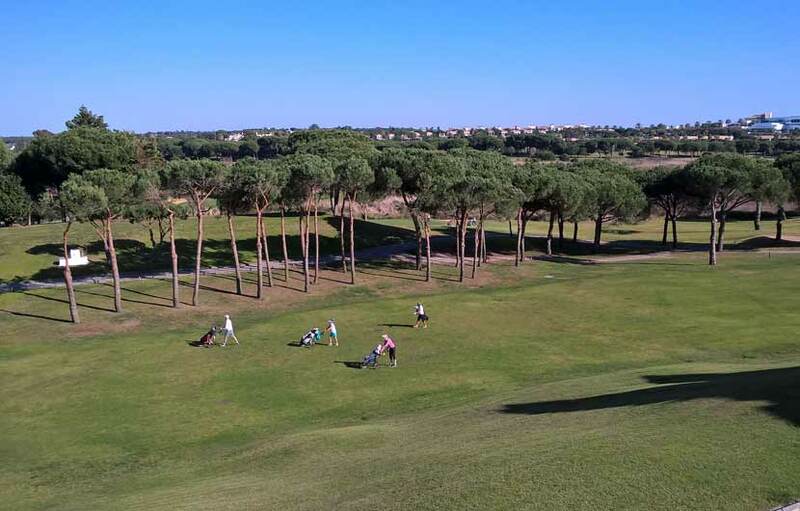 The province of Huelva has becoming one of the main golfing destinations in Spain with a number of clubs offering championship golf in some of the most spectacular locations. The province of Huelva is also home to the most revered and delicious cured ham in the whole of Spain - Pata Negra - Black Foot Ham. 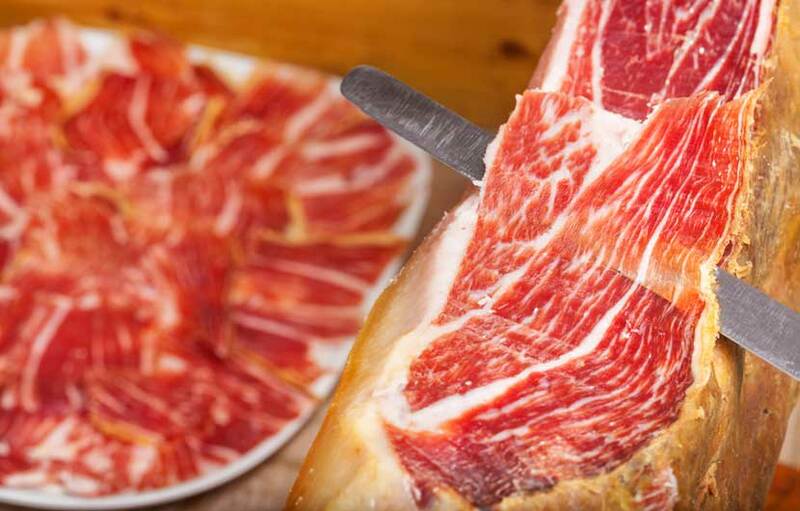 Some of the best Pata Negra ham is cured in the town of Jabugo, from a special breed of small pig which thrives on acorns from scrub and cork trees. Jamon Serrano ( Cured Ham ). The village of Jabugo is located in the captivating Sierra de Aracena national park, a quite beautiful area in the north of the region. If you haven't tried authentic black foot ham then you havent lived, once tasted never forgotten!. There are a few reputable companies which organise trips to Jabugo, a great way to learn how this famous cured ham is made. 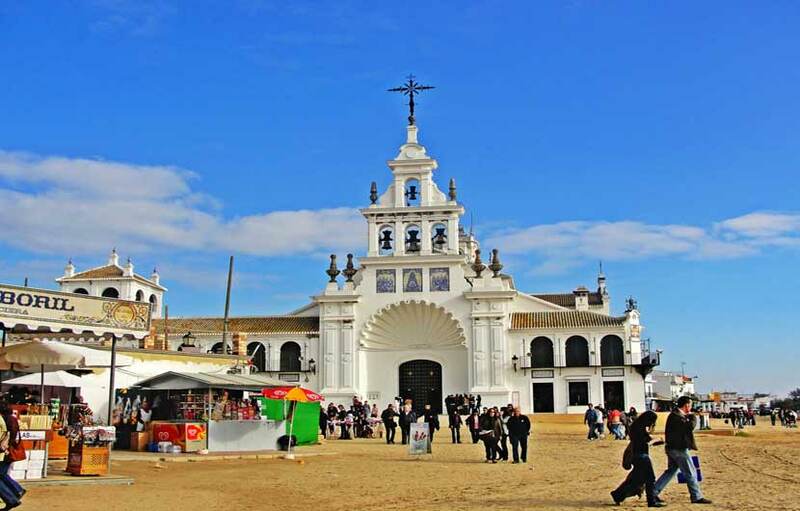 The famous El Rocio Village is also located in the province of Huelva, this curious village is used by thousands of pilgrims ( Rocieros ) who flock to the pueblo from all over Spain making their annual dusty pilgrimage to pay homage to the Virgen del Rocio, it is one of Andalucias biggest festivals, the Romeria del Rocio. El Rocio is a delighful and uniquely historic town with wide, sandy streets, cowboy-hated horse-riding farmers and a frontier-like feeling. Set on the north-western tip of the marismas, ( salt flat lands ) El Rocio de Huelva is a tiny village of white cottages and a church stockade where perhaps one of the most famous pilgrimage-festivals takes place, Celebrated for more then 800 years, the Romeria del Rocio, is an extraordinary spectacle, with whole village communities and local “brotherhoods” from Huelva, Sevilla and even Malaga converging on horseback and in lavishly decorated ox carts. The fair commemorates the miracle of Nuestra Señora del Rocio (Our Lady of the Dew), a statue found in the town which became resistant to all attempts to move it elsewhere. The image, credited with all kinds of magic and fertility powers, is paraded before the faithful early on the Sunday morning.